Try your mind before you try your weapon this year. You and your team will need to survive a mini-escape room environment before you are allowed to enter this Apocalyptic nightmare. Survive that…and you might stand a chance. *only select missions at select locations. Check location page for details. 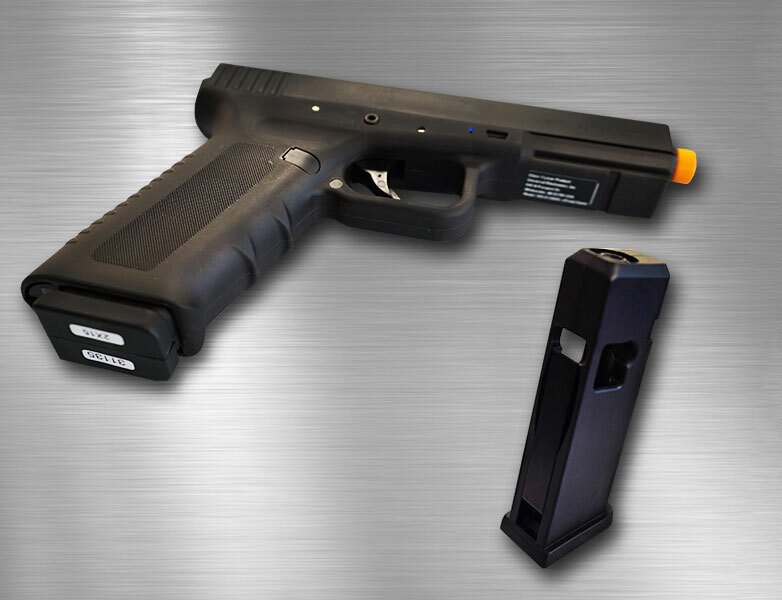 The iCombat irPistol Side Arm is the most realistic laser tag hand gun in the world. This gun is used by law enforcement for industry leading training throughout the country and modified for the most exciting game play experience. You will be armed with a real military training weapon. These weapons are built from real weapons so they look, feel, and handle like real guns. This realism is why military and police use these weapons during training. Reloading your weapon works exactly like the real thing. You will get to load in fresh magazines depending upon what ticket you purchase. Before you enter the experience you will receive full training on the weapons! 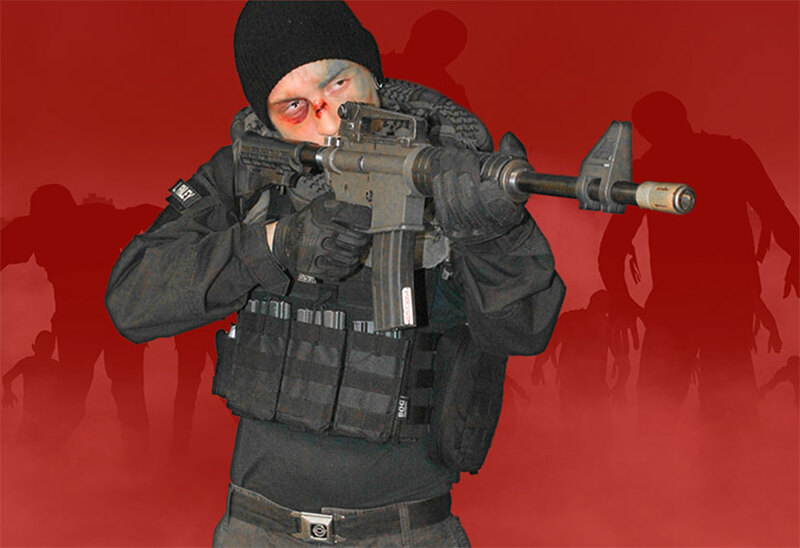 Your mission is to eliminate all of the zombies that you encounter. These zombies are highly trained actors. Professional costume and makeup teams turn these actors into Hollywood quality zombies. This makes for the most realistic zombie hunting experience ever created! takes place at the country’s best haunted attractions and coolest venues, in cities all over the United States. We have hand selected the best venues for this experience. 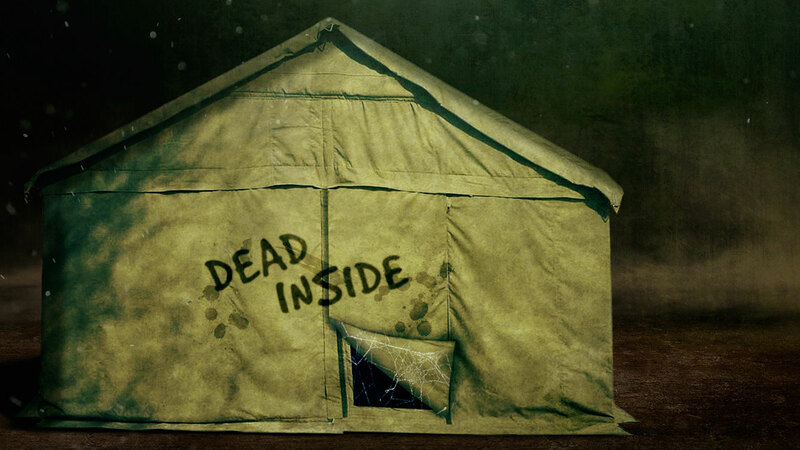 You will journey through zombie-infested areas filled with post-apocalyptic scenery! Watch behind you, surprises will come from all around you!